BikeTexas Cyclists in Suits – Texas Bike Lobby Day is a biennial event held during the Texas Legislature’s regular sessions. It is great opportunity for Texas cyclists to share their love of cycling with their state legislators. The goal is to have cyclists from every legislative district in Texas visit the capitol with our staff and remind the legislature that we are voters and we want them to represent our cycling interests. Please join us! COMMIT to SPONSOR Cyclists in Suits 2011! Our legislative team works year round! Cyclists in Suits isn’t just a one day event. Work begins two years in advance to prepare our legislative strategies, materials, meetings and other events that all lead up to this one very important day. Cyclists in Suits is the day when the cooperative efforts of all our members and sponsors culminate and we gather together to present “cyclist’s interests” to our elected officials. Our success is completely dependent upon you. When you choose to sponsor Cyclists in Suits – Texas Bicycle Lobby Day at the $5,000 level, you are effecively sponsoring just about all of our “advocacy” events and efforts. In recognition for your contribution, your name or sponsor brands, when made available, will be incorporated into all of our advocacy awareness and event materials in both print and digital formats to reflect your, or your organization’s, desire to help advance bicycle access, safety and education in the state of Texas. 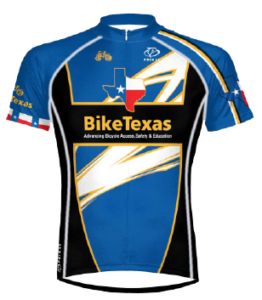 If you, or your organization are interested in sponsoring BikeTexas legislative efforts or would like more information regarding other sponsorship opportunities, please Contact Robin Stallings directly at 512-694-9158. Congratulations on the great news [Safe Passing passing the Senate Floor], making progress and moving forward! 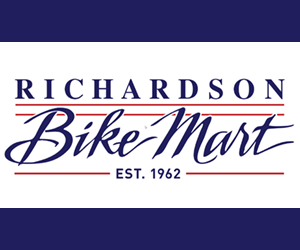 We are so proud and will continue to do what we can to support BikeTexas and Safe Passing. Cheers and all the best !! !